While most of the people who wear braces are teenagers, many adults are turning to braces for a variety of reasons. The majority of them are people who never received orthodontic treatment when they were younger, even though they could have benefited from it. They may have an overbite, suffer from crooked teeth or have gaps that they want to get rid of. Whatever the case, braces are as viable an option for them as they are for teenagers. What is it that makes teenagers such good candidates for braces? We all know they wear braces more than any other age group, and it comes down to their developmental stage. 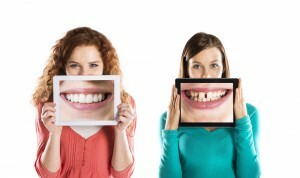 At their age, teenagers’ teeth are still growing. They are moving and shifting into the place where they will stay for the rest of their life. That means the bone and tissue around them is soft enough for braces to work well in positioning the teeth where they need to be. But adults have teeth that are no longer growing. That makes any braces or orthodontic treatment less effective. Transforming a smile as an adult often involves multiple treatments, such as the use of veneers, teeth whitening and dental implants. There is a higher chance that the teeth will shift back into their former position, so extra measures have to be taken to keep the teeth in place. Generally, adults who wear braces will need to wear a retainer for the rest of their life, once the braces come off. Generally speaking, adults have the same options for braces available to them as teenagers do. Their teeth will accommodate all the same orthodontic wear, making it easy for them to find an option that suits them well. Metal braces – These will be the most common choice for braces, simply because they are inexpensive and incredibly effective. Adults who need that powerful straightening that metal braces offer, but who don’t want to make it obvious, could go with the similar but more incognito ceramic braces. Either way, these braces are going to cover the front of the teeth and will require a lot of work to keep clean. Lingual braces – These are nano braces, which are invisible to everyone but the wearer. That’s because they attach to the back of the teeth. While you never have to see them, that also means that you will have some difficulty in cleaning them. 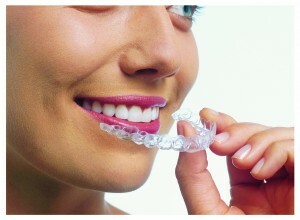 Invisible braces – Clear plastic braces, such as Invisalign are very expensive but they are also very convenient. You can take them off as you like; they aren’t bonded to your teeth, and they are the only option to provide that level of convenience. They are also practically invisible. Unless someone knows you have them, they probably won’t even notice when you are wearing them. You can talk to your orthodontist or dentist about what option is right for you and whether you need orthodontic treatment. No matter what age you are, there are still orthodontic solutions that can give you that perfect smile. Do you know the difference between a dentist and an orthodontist?